Ronda is a delightful little city with many excellent hotels, and is home to Spain’s most photographed bridge, the oldest and most prestigious bullring, and was one of the last Moorish cities to fall in the Spanish reconquest. We recommend at least two nights/two days in Ronda to really see the city and enjoy what Ronda has to offer, though extending this for a few days makes for an excellent break, and means you won’t be rushed. 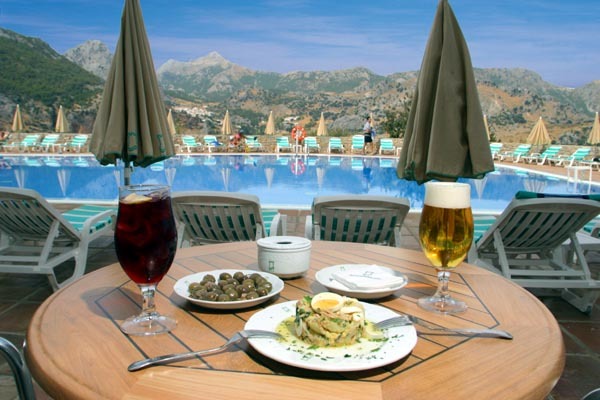 There are nearly 80 hotels reviewed personally by us here at Ronda Today. 5 hotels to each page page with links to booking and reserving your room. remember that you can book safely through our partner booking.com and the main link for all Ronda hotels is at the right hand side. IMPORTANT! iF YOU ARE ARRIVING STAYING IN A HOTEL ON THE OLD TOWN SIDE OF THE BRIDGE (NOT BARRIO SAN FRANCISCO THOUGH) YOU MAY CROSS THE BRIDGE IN A CAR DURING THE CLOSED TIMES BUT YOU MUST HAVE A PRINT OF YOUR HOTEL RESERVATION TO HAND IN CASE THE POLICE STOP YOU ON THE BRIDGE! Otherwise, the easiest way to get to the old town and hotels on the other side of the bridge from the Parador by car is to take the Algecirus road and enter Ronda via the area known as Barrio San Francisco… The junction for this and your main reference point is the new hospital on the road from Ronda to San Pedro… Once you find the hospital roundabout you will easily find your way to Barrio San Francisco and the old town… If you are at barrio San Francisco and need to get to the parador bullring side then stay on the road towards Jerez/Seville untill you come to the main roundabout into Ronda. 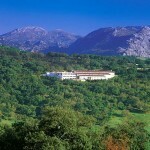 The Parador de Ronda is the most popular hotel and most reserved by Ronda Today website visitors. 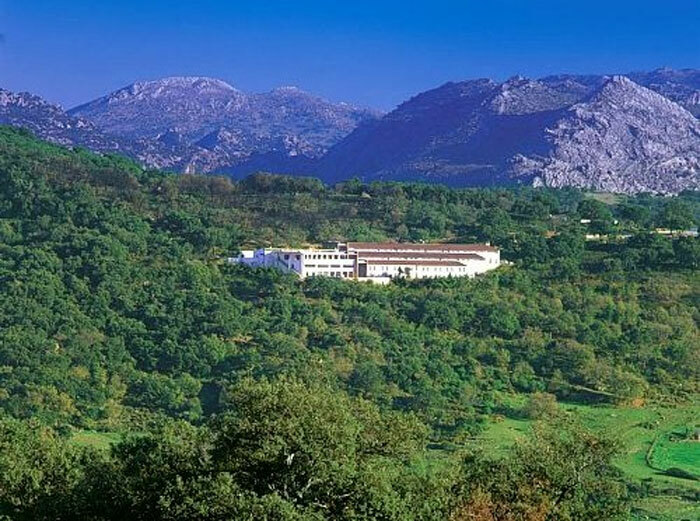 This is not just because it offers the same exceptional service as other Parador hotels, but because it is so centrally located, offering everything the experienced traveller demands. 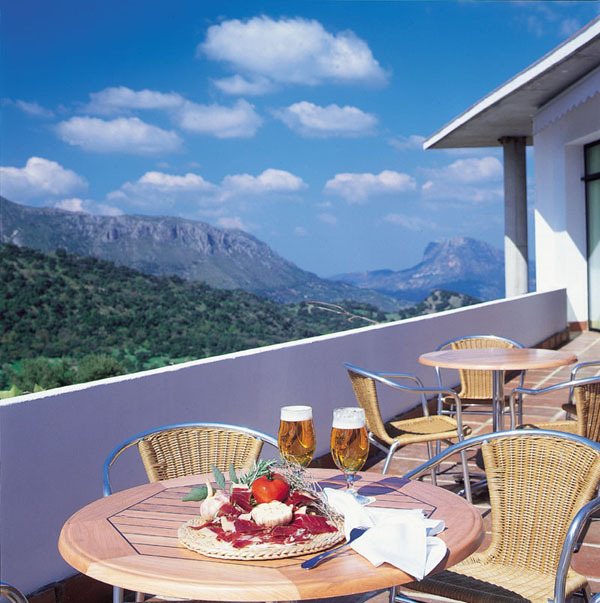 Its location immediately adjacent to the Tajo gorge and Ronda’s iconic Puente Nuevo, is the reason this hotel is often fully booked. 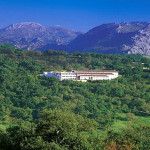 On the edge of the gorge, there are only a handful of hotels, and the Parador has the best vantage point. 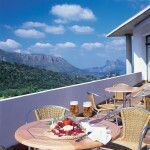 All guests of the hotel are able to enjoy drinks on the terrace patio, which is especially nice at sunset. 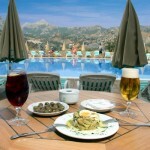 The panoramic location of the Husa Reina Victoria makes it one of the most popular hotels in Ronda. The hotel was refurbished in 2000 (although it was built in 1906). 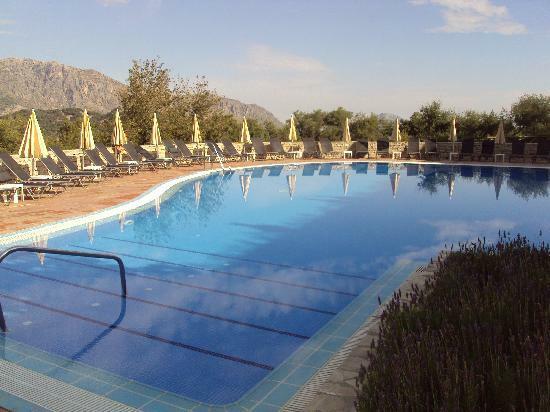 and is located next to the Tajo gorge precipice giving guests stunning views of the Sierra de Grazalema mountain range. 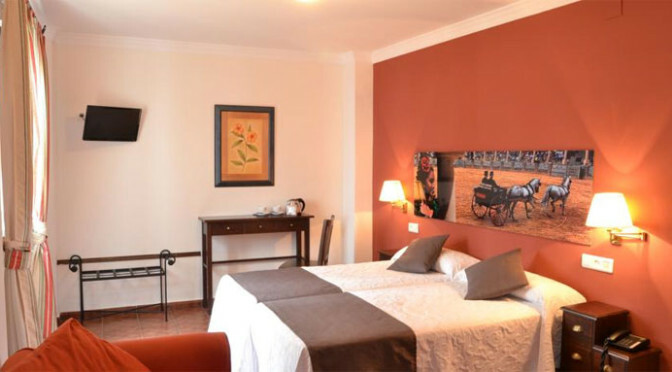 Located near to the center of the city, the Husa Reina Victoria Ronda provides tourists with a good starting place to explore the historic city. Can’t think of a better reason to stay in this fantastic hotel…The spa inside the Reina Victoria Hotel in Ronda is completely equipped in order to offer a wide range of beauty and wellness treatments. The spa area consists of a hydromassage pool, Turkish bath and hydromassage showers, as well as a fitness area and a terrace with panoramic views. Prices for treatments can be found here.. It begins with the facade, an elegant building in the very centre of Ronda’s commercial district, and leads to the salon and lounge, a welcoming environment for visitors to relax in the company of like minded folk. 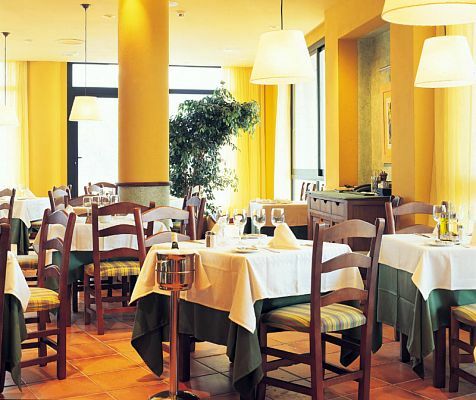 The Hotel Polo is one of Ronda’s oldest hotels so the management understand hospitality. 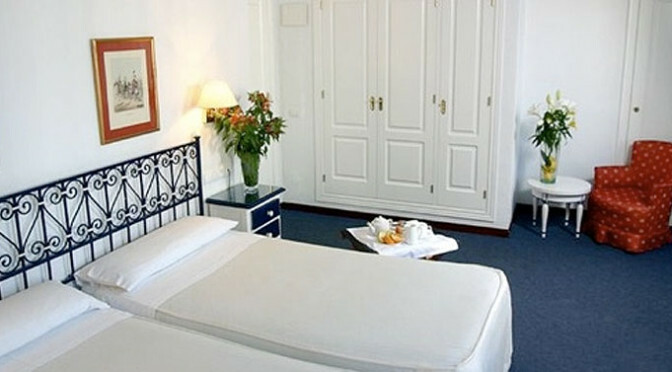 The 36-room hotel is known for its modernist style with rooms decorated in a soothing blue and white theme. Most of the rooms have their own access to balconies perfect for enjoying Ronda’s many colourful processions which pass below. 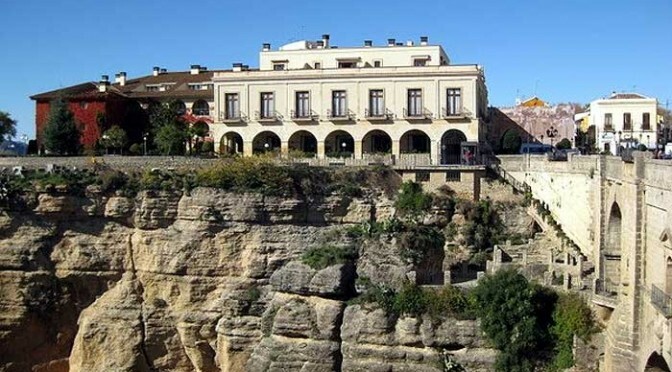 The Hotel San Francisco in Ronda is located near the center of the historic and culture-rich town. The location of the hotel is convenient for tourists as many tourist spots can be reached easily from the Hotel San Francisco. 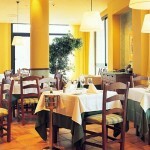 Although not the biggest hotel in the area, the Hotel San Francisco makes up for its smaller size with quality service. All 27 rooms in this value hotel are designed with a modern touch. 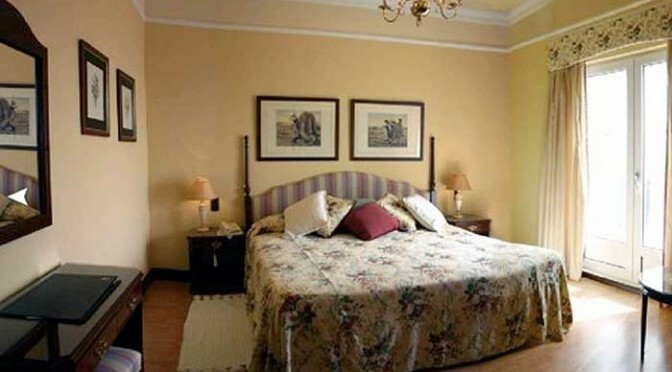 These rooms are air-conditioned, a necessity during summer months. For entertainment, all rooms also come with TV sets. The bathroom is also furnished with a hairdryer. 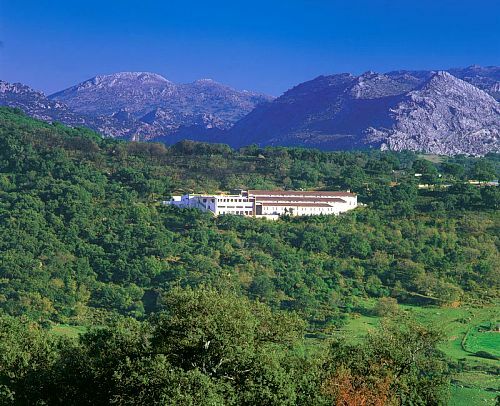 The Fuerte Grazalema as its name suggests is located within the famed Sierra de Grazalema Natural Park and the location provides for plenty of nature related activities, not least of them being hiking or cycling around the mountains. A small stock of bicycles are kept at the hotel for guest use, and staff are able to arrange for horseback riding nearby. 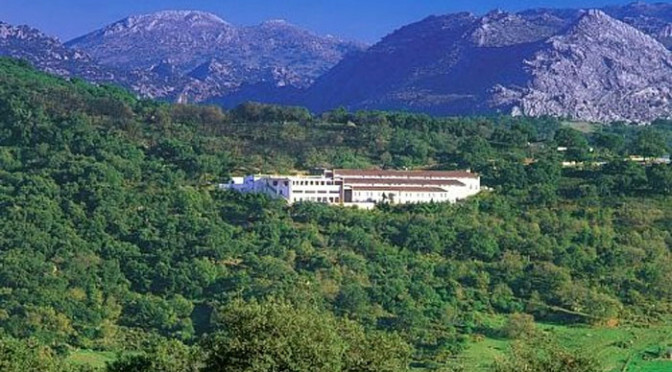 Very close to Grazalema, the hotel overlooks the ancient medieval part of the village from the east, and is also about 28km from Ronda, or only a few kilometres of Zahara de la Sierra. Daytrips from Grazalema to see other parts of the Sierra de Cadiz or the Serrania de Ronda are not stressful days. Returning to the four star Hotel Fuerte, enjoy relaxing by the large outdoor pool, or book some time in the hotel jacuzzi. 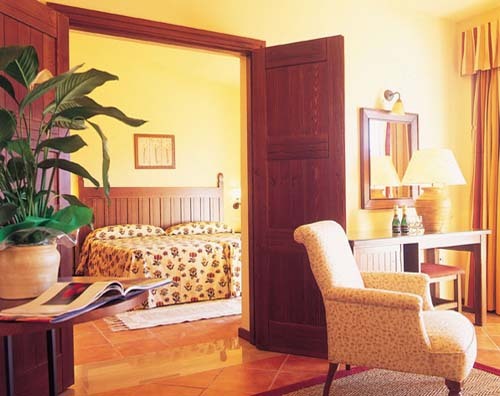 All guest rooms at the Fuerte Grazalema are large and spacious, and have their own private balcony overlooking the valley below Grazalema. Each balcony is provided with a table and chairs, French sliding doors access the room which includes extra long beds, satellite TV, direct dial telephone, and Wi-Fi Internet. Apart from the bicycle rental service, the hotel also offers laundry and ironing services, and if needed, babysitting services can be provided. Newspapers are delivered daily in the hotel reception. Breakfast is sumptious and filling, perfect for long days exploring the district, and the hotel restaurant is open every night for guest choosing to eat on the premises.